Garlic slicing machine is currently the most advanced garlic/ginger processing equipment in China. It can cut all kinds if solid vegetable into slices, such as garlic, ginger, potato and so on. 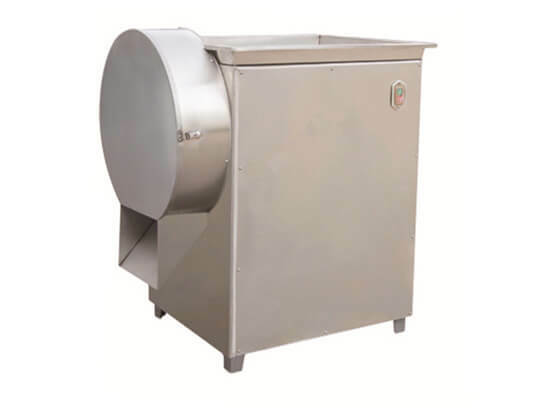 With high cutting speed and good condition of the finished product, the garlic slicing machine is the best choice for many commercial places, such as the food industry, restaurant, school, etc. 1. It can slice kinds of solid vegetables, such as garlic, ginger, potato, and taro, etc. 2. It is widely used in vegetable processing factory, marinated industry, meat processing factory, canteen, hotel, condiment factory, vegetable wholesale marketplace and individual businessman, etc. Sweet Tips: How to Preserve the Garlic Slices? After the garlic sliced by the garlic slicing machine, it is easier to do further processing. If you want to preserve the slices for a long time to keep them fresh, you should store them in the refrigeration storage. If for a short time, room temperature storage is ok. We advise you choose the low-temperature storage and control the temperature around -1℃&1℃, you can preserve the slices as long as 2-3 years.